On Nov. 5, Las Vegas' lights will shine brighter than usual as participants of the annual Light the Night Walk hold their colorful lanterns high in support of those who suffer and have suffered the effects of blood cancers — and you can help. Every three minutes, someone in the United States is diagnosed with leukemia, lymphoma or myeloma, according to the Leukemia & Lymphoma Society . These blood cancers take the life of one person in the U.S. every nine minutes. There is no pre-screening method, so hundreds of thousands fall victim every year. 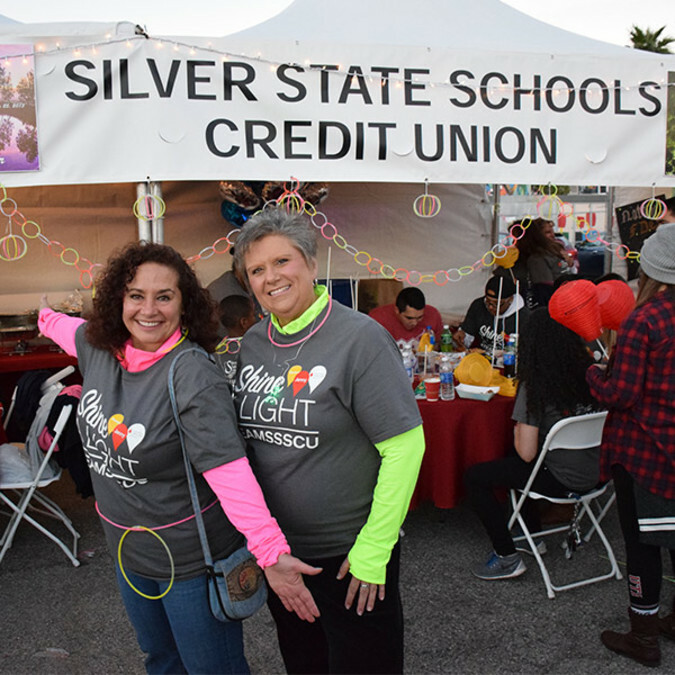 In support of those victims, Silver State Schools Credit Union is participating in the annual Leukemia & Lymphoma Society Light the Night Walk , which brings attention to blood cancers and raises funds for researching a cure. "The Leukemia & Lymphoma Society is the largest voluntary health organization dedicated to funding research, finding cures and ensuring access to treatments for blood cancer patients," according to LLS . It holds Light the Night Walks every year throughout the U.S. Taking part in Light the Night Walk is not just a corporate initiative, said Mike Randall, SSSCU chief operating officer. It's personal. The credit union has participated in the walk for six years. It increased its efforts to become one of the Valley’s top corporate fundraisers after two of its own were diagnosed with leukemia. Employee Jenny Lynn Chester lost her fight with the disease in 2013, and Barbara King, the company’s former director of marketing was diagnosed with leukemia and is in recovery. In 2015, the credit union was one of the top corporate fundraising teams, raising $33,148 for the Light the Night Walk. This year, employees have set their sights higher, hoping to raise $50,000. "Team SSSCU continues to be a top corporate fundraiser for LLS’s annual Light the Night walk, which celebrates and commemorates lives touched by cancer," according to silverstatecu.com . "... Team SSSCU raises funds through donations, bake sales, raffles and employee events." You can help Team SSSCU reach its goal by donating on its team page . Register for the Nov. 5 walk in downtown Las Vegas at lightthenight.org/snv . "Without your efforts LLS could not fund the research of such treatments as targeted therapies that zero in on cancer cells and kill them or immunotherapy drugs that use a patient's own immune system to kill cancer," writes Team SSSCU on its fundraising page.